The trees outside my window have been gradually turning and as I sit and look out, the bright red and yellow leaves are a contrast against the slate grey clouds in the sky. I just love October, don’t you? As is custom, my brother will be hosting Thanksgiving at his home and kindly volunteers each year to prepare the turkey. This leaves my sisters and I with desserts and sides. 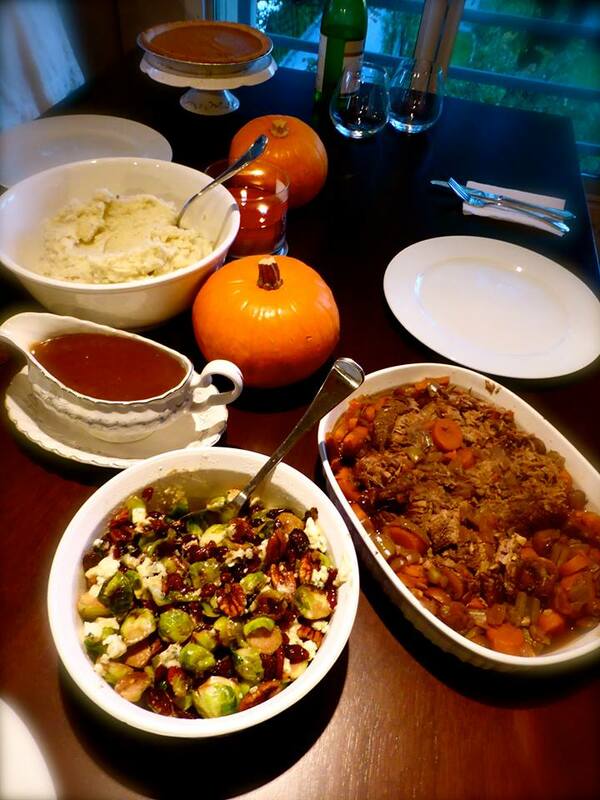 I tried this recipe for the Mabon Harvest dinner I hosted in September and it was a hit. 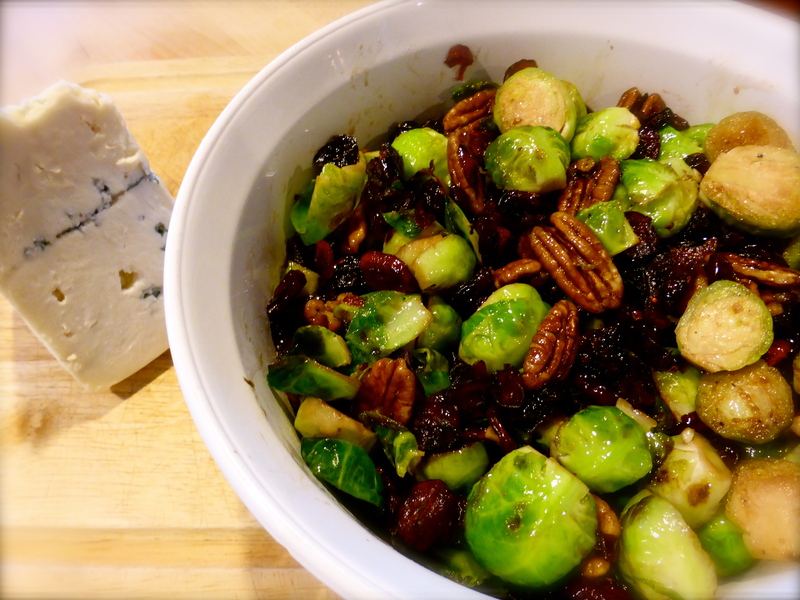 It’s also just the perfect Autumn side, much hardier and earthier than say a salad. Oh, and it’s super easy so here goes. Begin by heating the oil in a skillet. 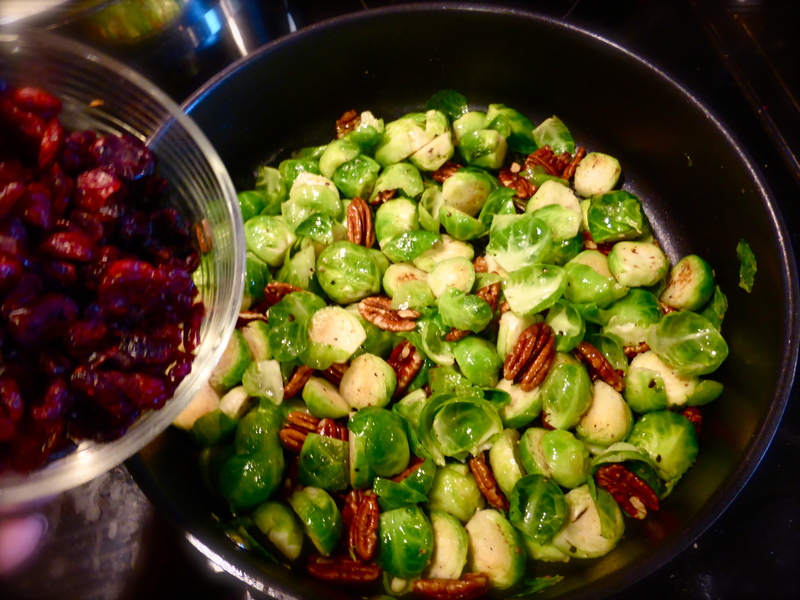 Add the brussel sprouts and season with salt and pepper. Sautee for about 8 – 10 minutes. Stir in the pecans so that they toast a bit. 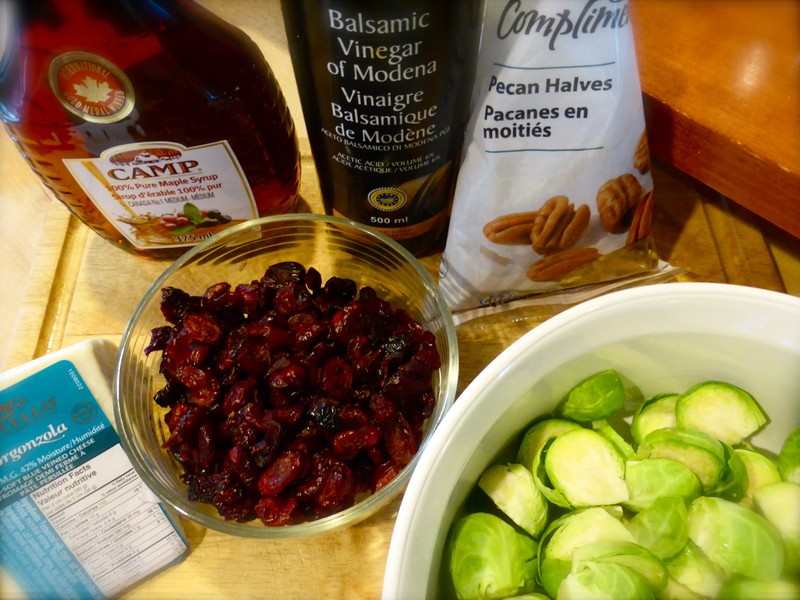 A few minutes before the brussel sprouts are at a consistency to your liking (I like them with a bit of a crunch), add the cranberries, the balsamic vinegar and maple syrup and mix well. You can serve this dish warm or set it aside to cool a bit. Right before serving, crumble the gorgonzola cheese overtop (this is important as if you add it right away, the cheese will just melt) and enjoy. Have an amazing Thanksgiving everyone!